So here at Nanaimo we often nod to the history of this great region, but we have never really looked right back, in depth, at the history of this land. That changes now. In this article we will look at how the island first came to being, who the first settlers were, and other key points in Vancouver Island’s history. We will also discuss how you can make your mark in the history books of the future. How was the Island formed? So as you probably know, all land is formed by a shift in plates. Vancouver Island was formed around 150 million years ago, when volcanic activity pushed sedimentary rock upwards from the sea floor to form the island landscape. Around 12,000 years BC the retreating of glaciers allowed the Strait of Juan de Fuca to be formed as the Pacific Ocean flooded inland. The first tree can be dated back to 377 BC – it was a yellow cedar – a variety of tree which can now be seen in abundance across the region. Of course it is interesting to note, new islands can be formed at any time, and also be lost. There are a number of islands around the world that no longer exist due to the rising sea levels. Also the shape of the land changes due to erosion from the sea. No island stays the same for long. So who were the first people to stand on Vancouver Island soil? In around 40,000 it was thought the first Eurasian migrants came to North America across the Bering Sea land bridge. But it wasn’t until 5850 that the first human habitation was later confirmed by archaeologists at a dig near Bear Cove, Port Hardy. The first indigenous peoples that graced the land were the Kwakwaka’wakw in the north, and the Nuu-chah-nulth on the Pacific end of the island. 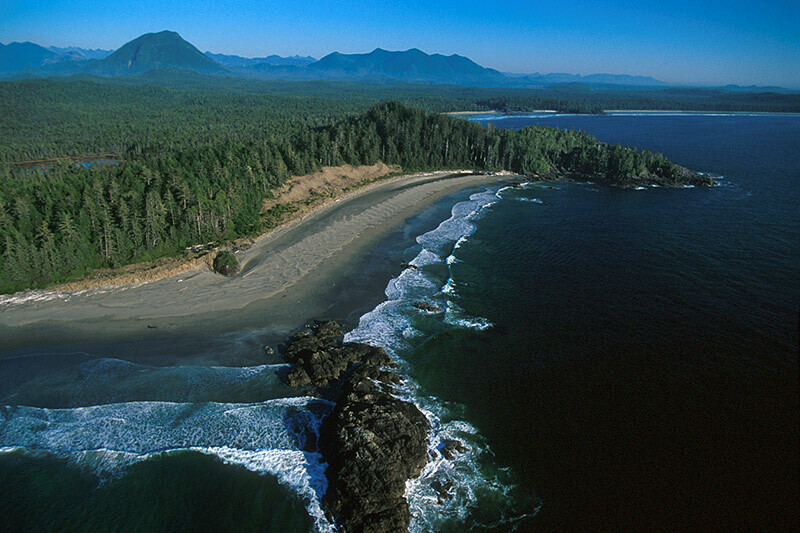 The Coast Salish inhabited the south east of Vancouver Island. The latest numbers suggest there are still around 5,500 Kwakwaka’wakw in the region today, now more spread out across British Columbia on the north part of Vancouver Island and the mainland. In English this group of people are termed the Kwakiuti, but they prefer to be called by their full name. They speak Kwak’wala which is part of the Wakashan family. Their official name means speakers of Kwak’wala. It is a dying language with less than 5 per cent of the aboriginal population still speaking it, that is around 250. The group have split into around 17 different tribes today, but are joined by their tradition of potlatch which was outlawed in 1885 but recently reinstated. The Nuu-chah-nulth traditionally lived on the west coast of Vancouver island. Their numbers were significantly depleted by smallpox, but they were among the first to come into contact with European travellers. They speak a southern Wakashan language and are closely related to the Makah of the Olympic Peninsula. The Coast Salish are the largest indigenous group. They are a mix of many tribes which means they have a number of distinct cultures and languages within them. Their territory is large, and spans from the Gulf of Georgia, down through the southern Island. Vancouver’s aboriginal heritage is something it is very proud of. This can be seen through the various exhibits, artifacts, and displays across the islands museums. Carvings, artwork, and totems are signature items of the region, with replicas available in shops and galleries right across BC. Port Hardy museum is a great example; there you can find artefacts that fate back over 4,000 years. In Nanaimo’s Petroglyph Park features 1000 year old rock carvings which depict the mythical creatures that form part of the regions mythical heritage. In the late 1700’s the Spanish came to the region and initiated contact with the indigenous tribes that lived here.The Spanish were first pulled to the area after rumours of Russian fur traders in the region, and so they went to ensure their long-held claim remained. In 1778 Englishman James Cook kicked off trade in the region, starting with seal and otter pelts. This was the start of something great in the area, bringing traders from all over the world to Vancouver Island. This of course also meant there was a dramatic reduction in the number of otters and seals, which would later prove problematic. The British Royal Navy’s very own Captain George Vancouver (now you see where the island got its name) mapped the islands between 1792 and 1795. This was part of the expedition to chart all of North America. 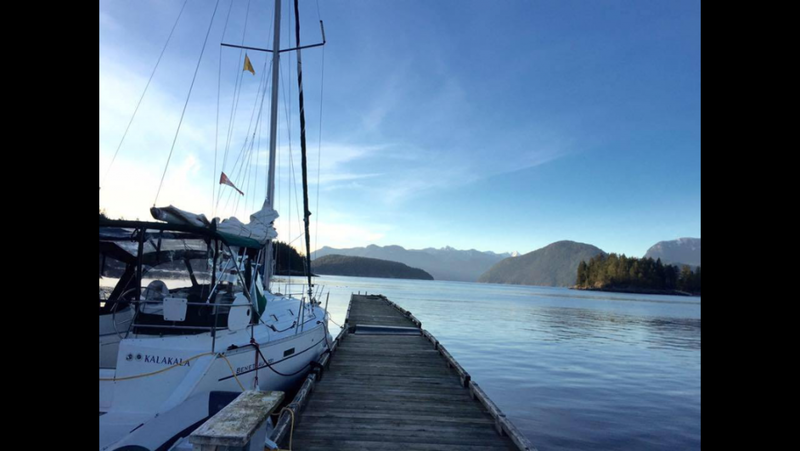 The islands were first known as Quadra and Vancouver in a nod to the Spanish explorer that came before; Juan Francisco de la Bodega y Quadra. But as the Spanish withdrew in 1795, it is Vancouver which stuck. Lyrical place names are the only reminders of the Spanish claim. The 1800’s were somewhat characterized by whale hunting – humpbacks, grays, blues, and mikes were all targeted for their oils in such large numbers they were brought to the brink of extinction. Today there are a number of conservation projects underway to help protect whales and improve their numbers in their natural environment. In 1843 however something great happened when Fort Victoria was built, and later in 1846 the boundary between Canada and the USA was drawn and ratified by the Oregan Treaty. Britain retained control of the Southern Vancouver Island and the Gulf Islands for a little longer yet. Vancouver Island itself became the Crown Colony of Britain in 1849, it was leased to the Hudson Bay Company to encourage colonization. In 1853 coal mines were established in the Nanaimo harbor area which brought a new industry to the region and riches with it. The Island’s first legislative body wasn’t established until 1856 and in 1858 the first Gold Rush prospectors arrived from America in the form of miners and merchants. In 1860 the first export sawmill opened which also gave the region a boost. The Gold Rush saw the region transformed with people arriving from as far away as China hoping to make their fortunes. Almost overnight, the sleepy little fort of Victoria was transformed into the city of Victoria we know and love today. In 1866 the colonies of Vancouver Island and British Columbia are merged to form the United Colony of British Columbia with Victoria as its capital. Shortly after the dominion of Canada formed in 1867, and the first European settlers arrived from Scotland in 1874. In 1902 we find probably one of the most interesting occurrences of the region’s history when Malcolm Island is inhabited by a group of socialists from Finland seeking a utopia of harmonious living at one with nature. In 1904 the area’s renowned public gardens were created by Jennie Butchart who together with her husband transformed the limestone quarry into a masterpiece. Another great nature project was the 1911 Strathcona Provincial Park which was the Island’s first wilderness reserve. In 1917 women gained the right to vote, and in 1938 salmon fishing in the area became a favorite past time of celebrities such as Bing Crosby. At the turn of the century a ferry service began to link Vancouver Island with the mainland, BC ferries made their first trip in 1960. Half way through the century a couple of disasters hit the area. In 1958 there was the destruction of Ripple Rock which was at that point the largest man-made non-nuclear explosion. In 1964 Port Alberni was hit by not one, but two tsunamis which cause excessive damage, destroying over 50 homes and damaging many more. In the 70’s things started to look up with the establishment of the Pacific Rim National Park Reserve in 1970, The Islands Trust in 1974 who were established to help development of the Gulf Islands, and the regions first ski resort opening in 1979 at Mount Washington. I think the thing to be learned here is that history remembers the best and the worst of everything. In an age where climate change is a very real threat, it would be great if Nanaimo and Vancouver Island could be remembered as pioneers in sustainability, ecotourism, and in combating pollution. Visitors can play a big part in that, through respecting the land, learning about traditions old and new, taking an interest in conservation projects and protected areas, and more. There is much great work going on, and since the turn of the century we have already seen a lot of good steps being taken. In the year 200, UNESCO added Mount Arrowsmith to its world network of biosphere reserves – thus protected the numerous rare species in that area. In 2003 the Gulf Islands National Park Reserve safeguarded some of the islets and islands in one of the region’s most ecologically sensitive areas around the Gulf. The region and its people are really starting to love and protect the land. In 2008 a new trail was opened in Cape Scott Provincial Park, and in 2011 the first two sections of the BC Marine Trails Network were mapped and opened officially to lead kayakers through some of the area’s most beautiful waterways. As a visitor to Nanaimo and the Vancouver Island, you can make your own mark in history by helping us to preserve this beautiful, iconic, serene landscape. So although in this article we have been looking back, we look forward to visitors like you coming to the region and helping us write the history of the future. 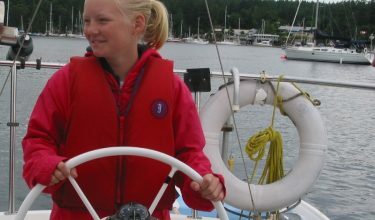 Sailing in the beautiful area of Vancouver is an experience to treasure for now and for future generations.